In our One-on-One dog walking we always go the extra mile.. THIS IS CALLY. 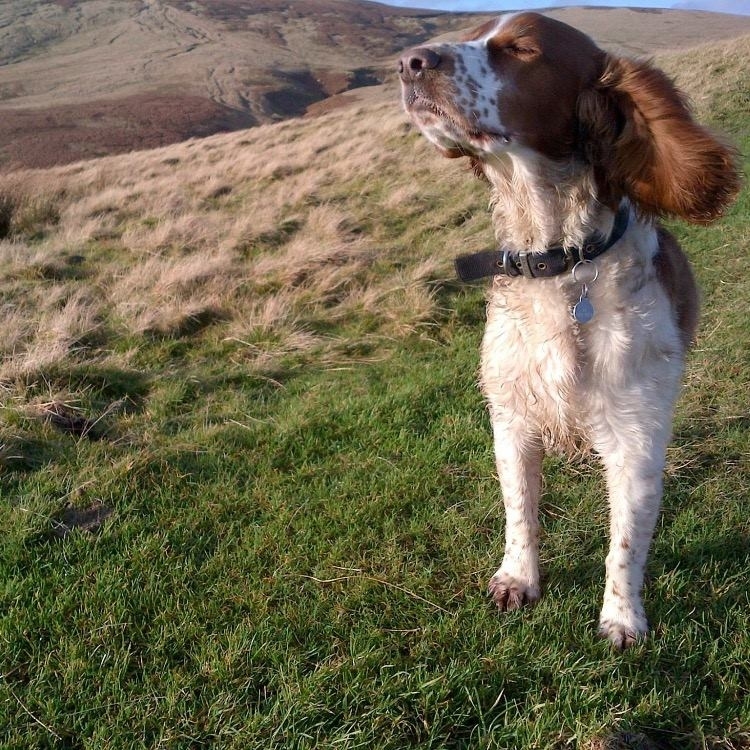 She is a Welsh Springer and she happens to be the current face of our Paws Indoors Facebook campaign. Not every walk ends up in the Cheviots [pictured] of course. I occassionally invite her to keep me company on a Sunday tramp around the hills. Mostly however, I pick her up for our regular weekday lunchtime walk and we noodle about on the moors and in the woods and fields of beautiful Newcastle. From time to time we also do breakfast and the odd afternoon tea. 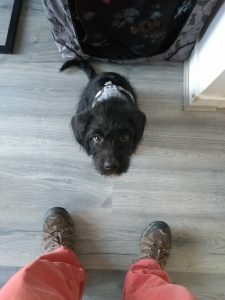 We can provide walks at most times of the day however we find that we mainly cater to owners who work and can’t get home to give their dogs that very important lunchtime break from the house. I personally invest a great deal of time in the dogs I take on. As such, I prefer long term, regular walking agreements. And whether it is myself or another walker, our goal is to become part of your dog’s extended family. 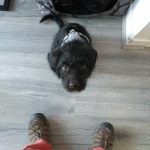 Maybe your are thinking of One-on-one dog walking as being an ideal extension to your dog and puppy training classes. As your dog walker I want to know about any classes and the methods you are using to guide your dog’s behaviour. We don’t want to be communicating mixed messages. For example, I tend to walk heel to my left, but if you are to the right, then I or any dog walker should adopt your stance. But dog walking is not a training class..
Dog walking, that is to say very good dog walking or just a really good dog walk is based on collaboration and trust. Your dog must feel safe with you. If something unexpected and frightening happens, you want your dog to come to you rather than run away or drag you off on the lead. To get there, you need to have a bond of trust. That’s what I am looking for in your dog (and it is also why I prefer long term and regular walking agreements). But trust doesn’t come on a plate. You must both work together in equal measure. Particularly in an urban environment, your dog must be able to rely on your eyes and ears to spot a problem before it arises. And you must vigilantly monitor your dog so that you understand when he or she clocks something that you miss (or don’t have the fine senses to pick up). Then in time, just as in any relationship, you will learn to accurately guess each other’s thoughts – and act appropriately. Good dog walking doesn’t involve chatting on the phone or reading texts. It isn’t about a tangle of leads pulling in all directions. Nor does it involve a Sergeant Major shouting at his troops on the drill square. But equally, in my view, it is not a training class. For me, a really good dog walk involves fun, exercise and the reinforcement of the strong bond of trust between me and your dog. 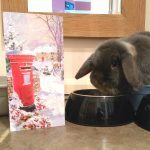 We may offer 24 hour cover for holiday periods, boarding in your own home, to suitable dogs. We would require a minimum of four visits per day. Contact us for a consultation, see prices. How long was my dog out for? Where did they go? What time did the walk start? (We don’t count picking up, time travelling or cleaning up and settling down as part of your walk.) 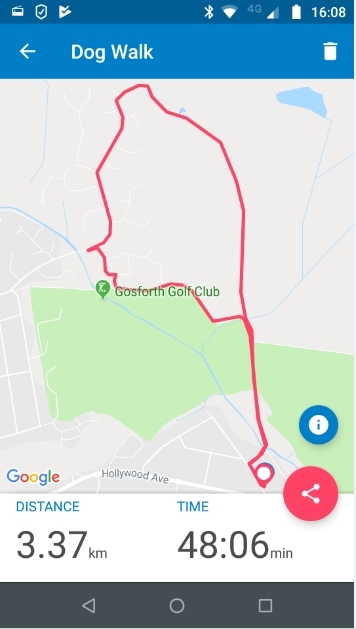 Every dog walk is digitally recorded. 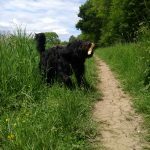 We use the Tractive dog walker’s app to report your dog’s walk as it happens. You do not need to download an app. At the start of the walk we will text your mobile phone with a link where you can review the walk later when you have time or better still, choose to watch your dog being walked in real time! 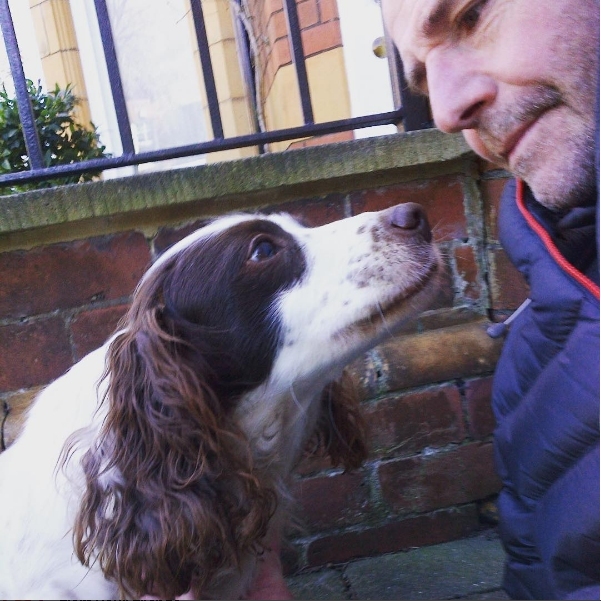 I (Steve), am currently studying a two year Accredited CPD Diploma in Advanced Canine Behaviour with the British College of Canine Studies, (2019). 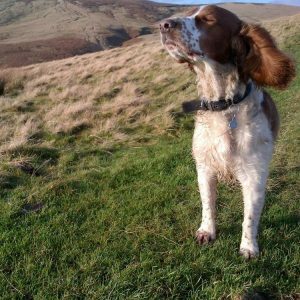 Give us a call or drop us a line through our contact page and we can arrange an informal chat and a quick walk out with your dog.